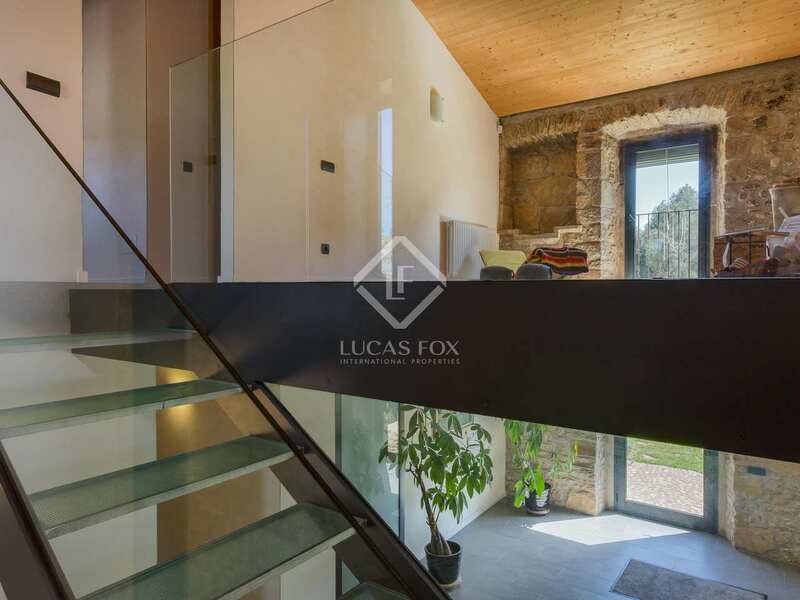 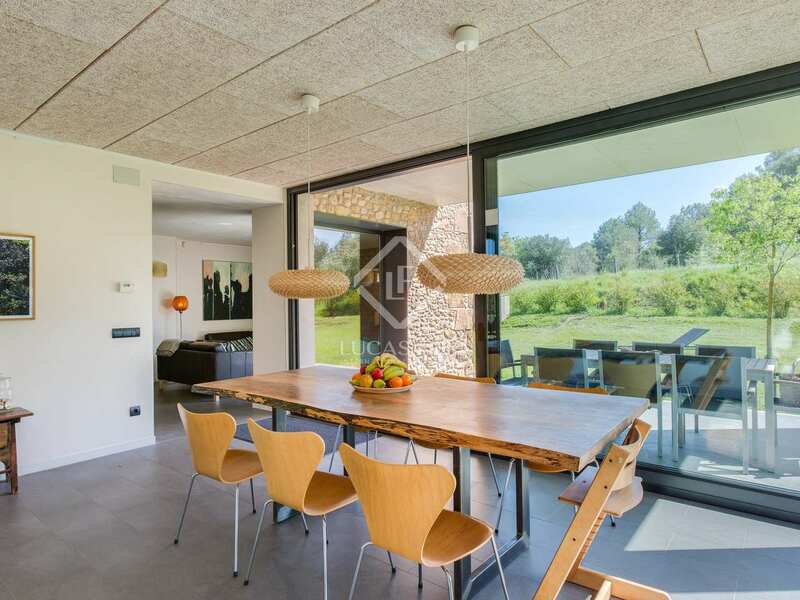 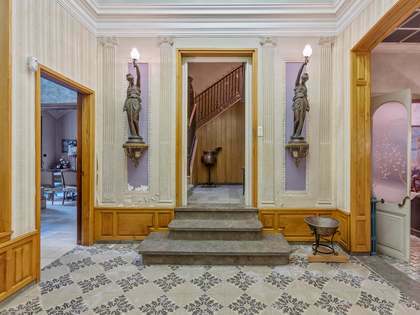 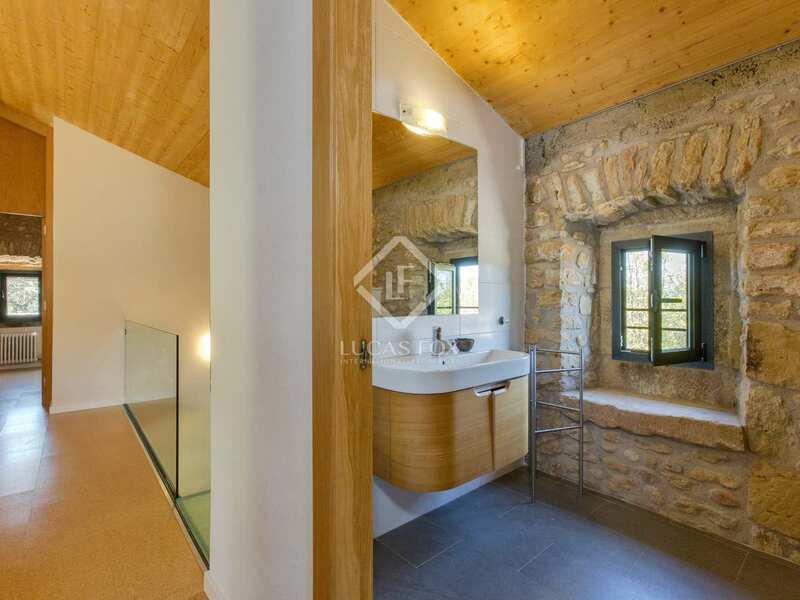 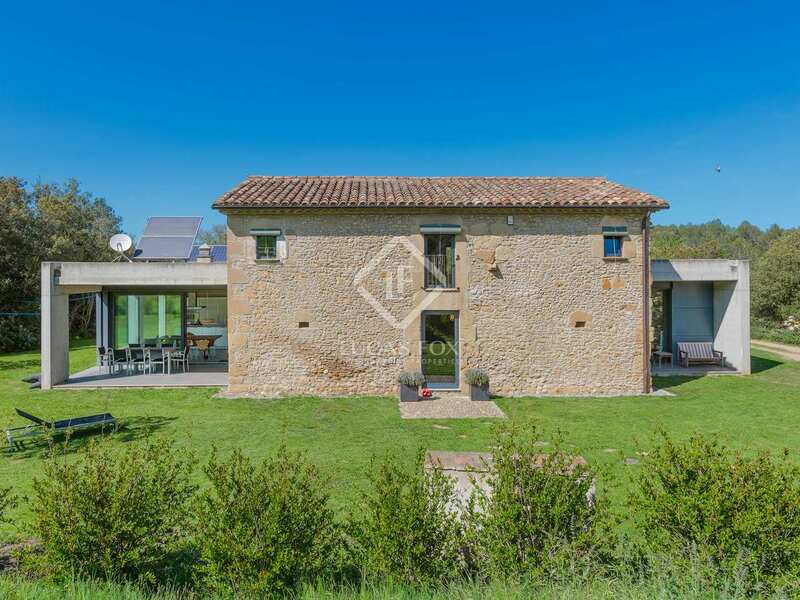 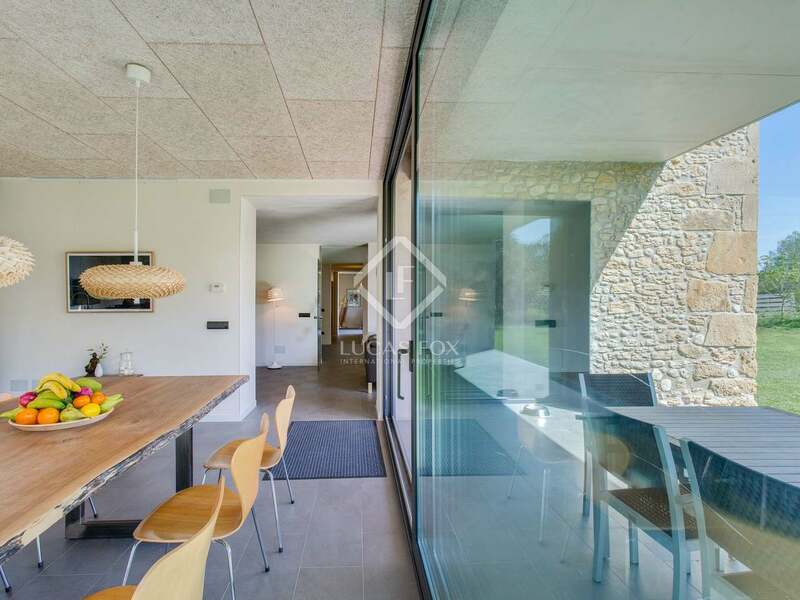 Traditional country house with contemporary interior design for sale in stunning natural settings, Pla de l'Éstany. 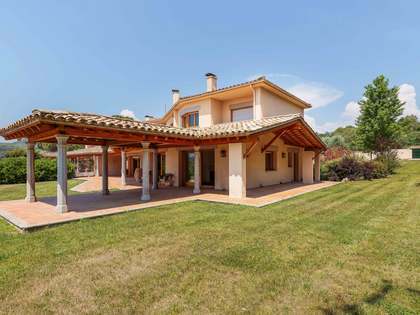 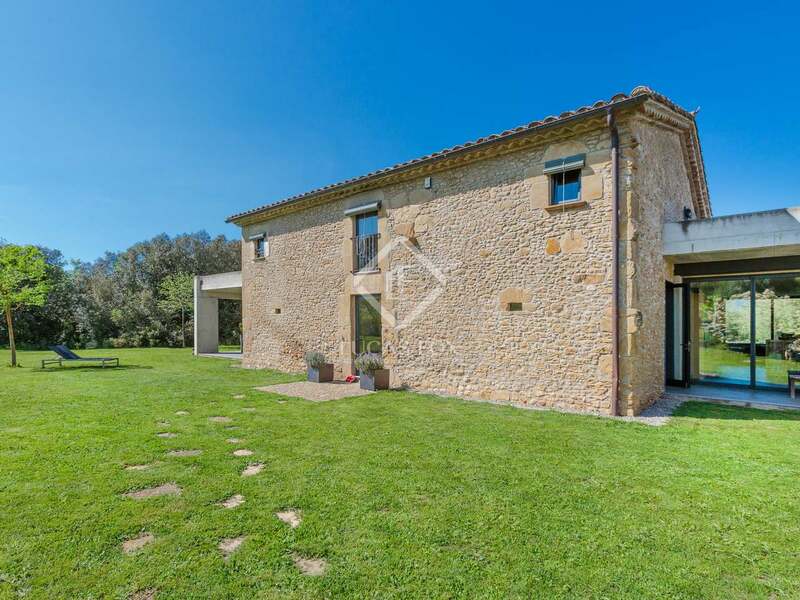 Secluded country house for sale fully renovated to a very high standard. 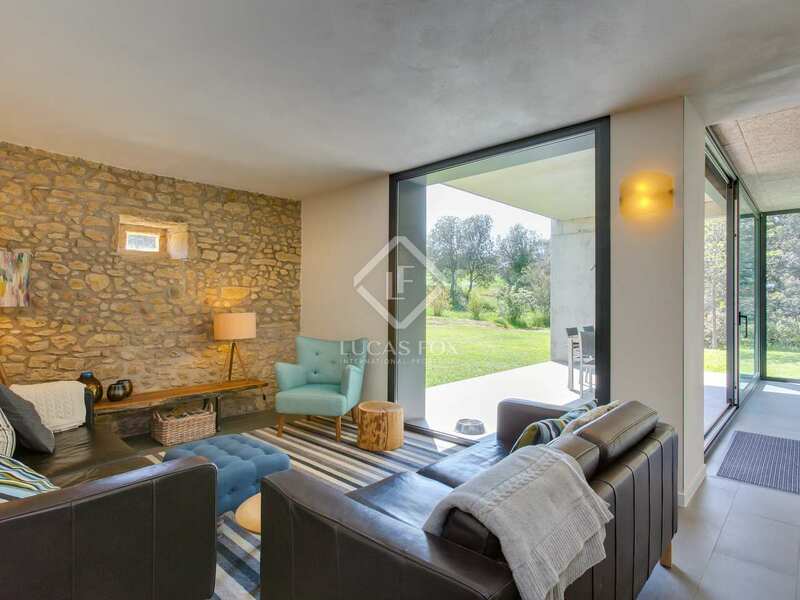 This property represents a unique opportunity to acquire a home in a totally natural setting whilst being fully adapted to modern day living. 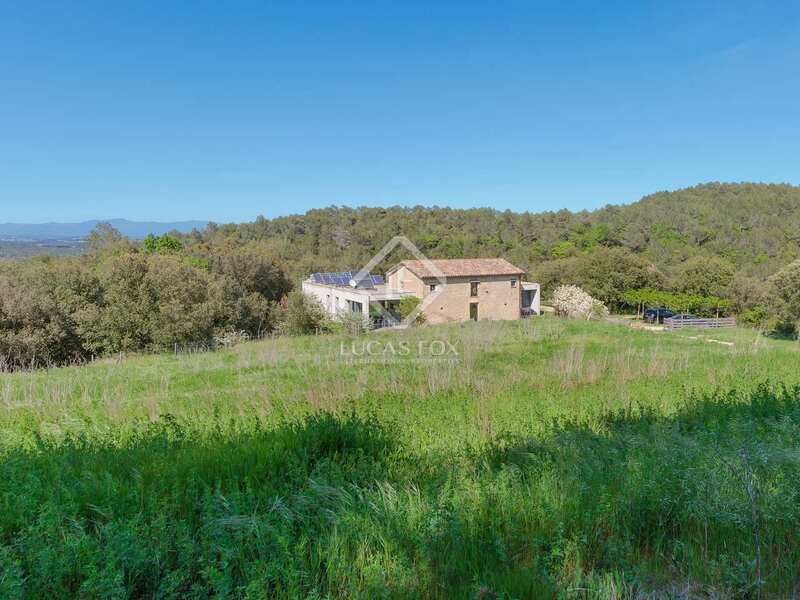 The property is located in the picturesque countryside between Banyoles and Figueres, a peaceful location 4km from the nearest village. 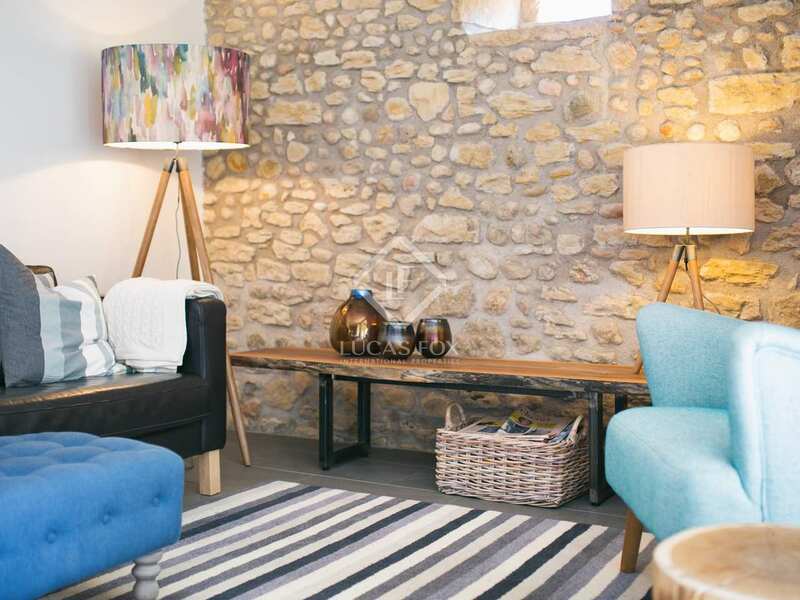 This country cottage has been completely transformed into a light filled, contemporary home; 2 extensions have been added to the cottage to create a striking contrast between the traditional and the modern. 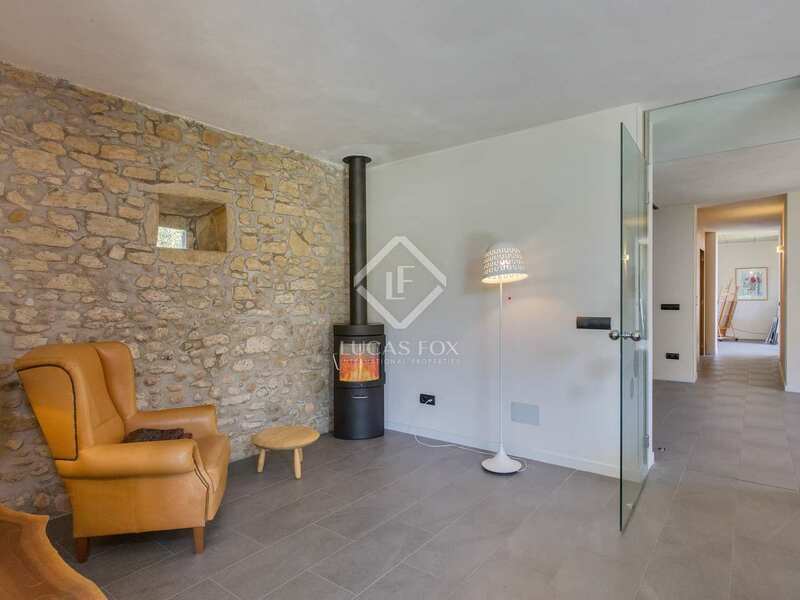 A large entrance hall on the ground floor leads to the 25m² living area with a modern fireplace as the focal point. 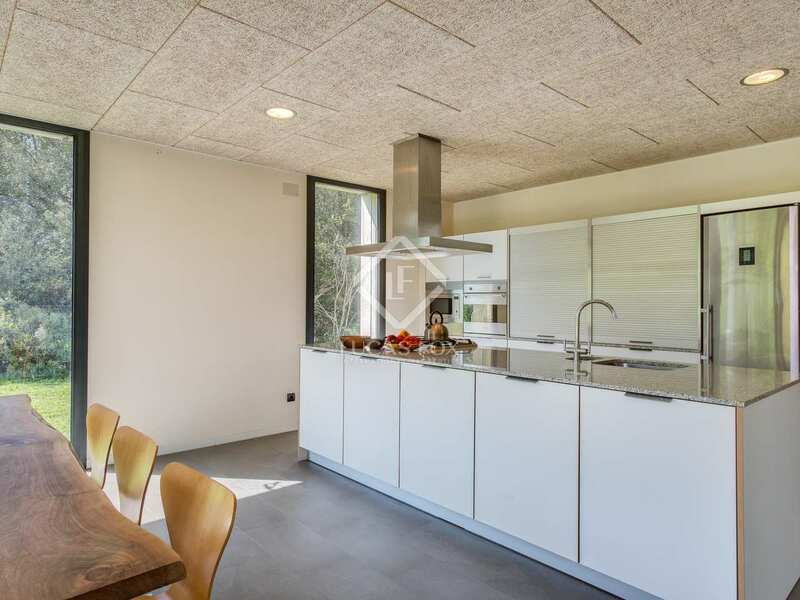 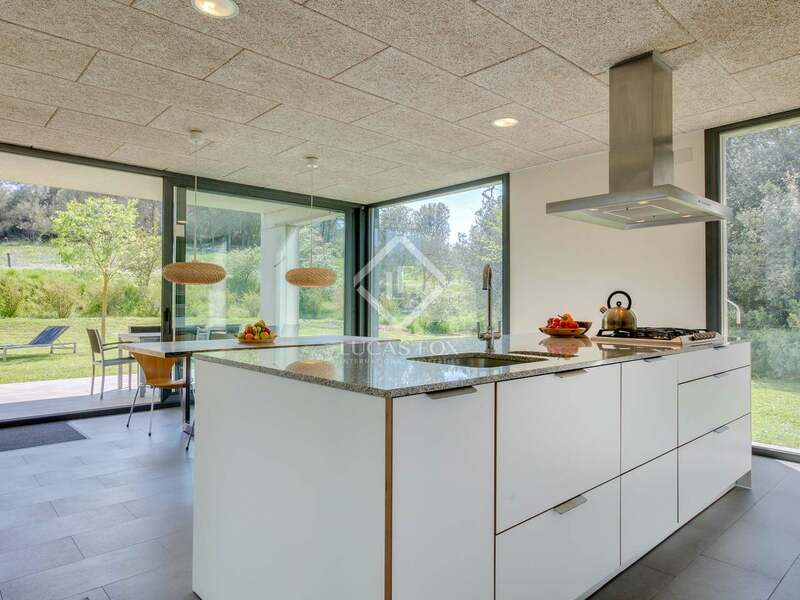 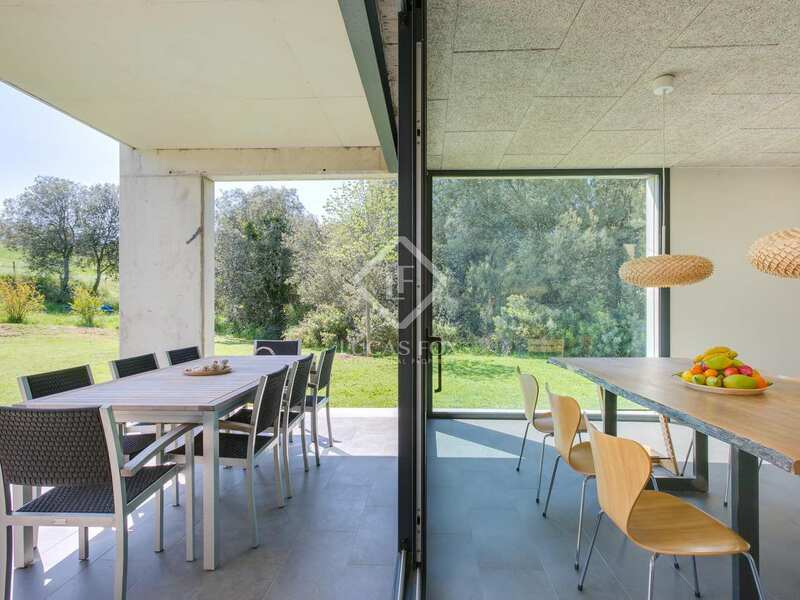 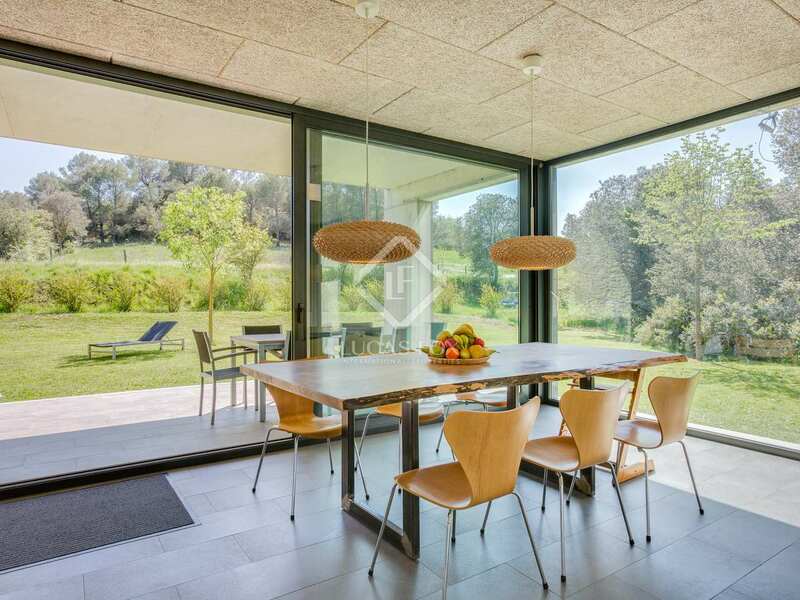 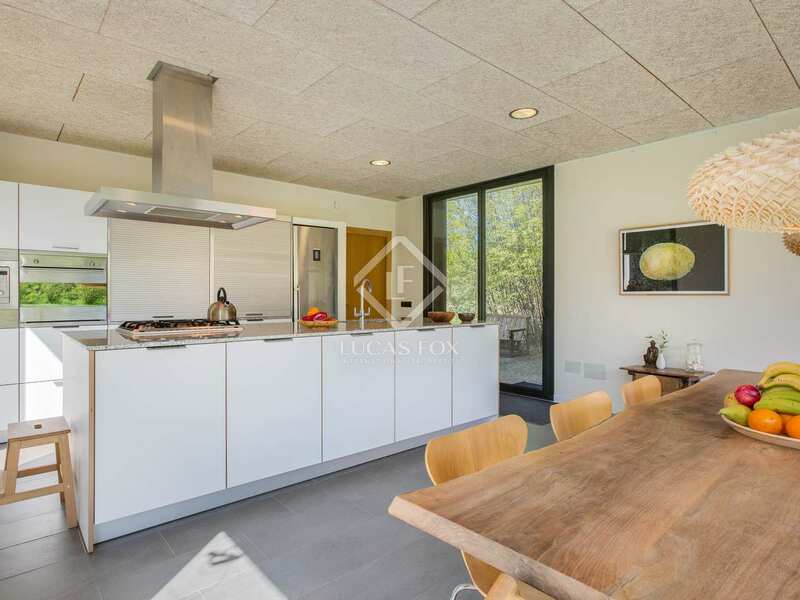 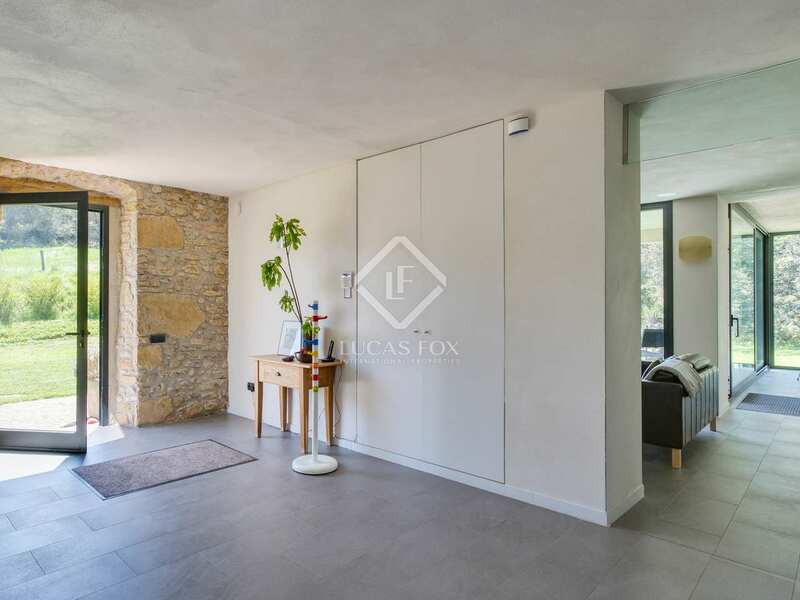 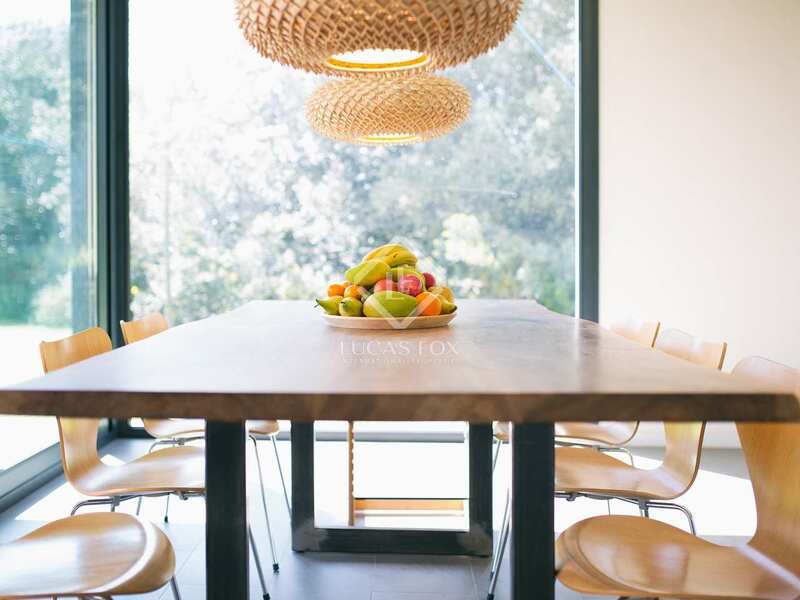 The dining area with open kitchen is particularly bright and spacious, measuring 36m² and with floor-to-ceiling glass doors overlooking the garden and giving access to the terrace. 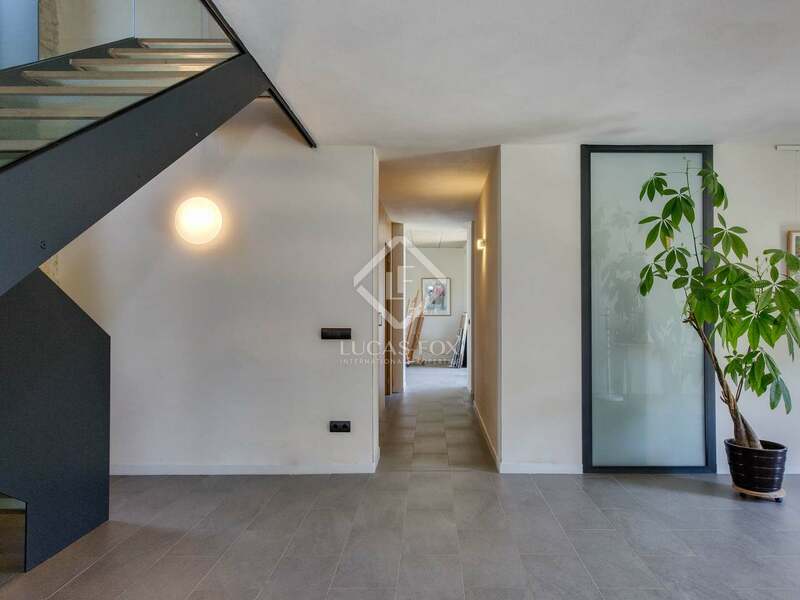 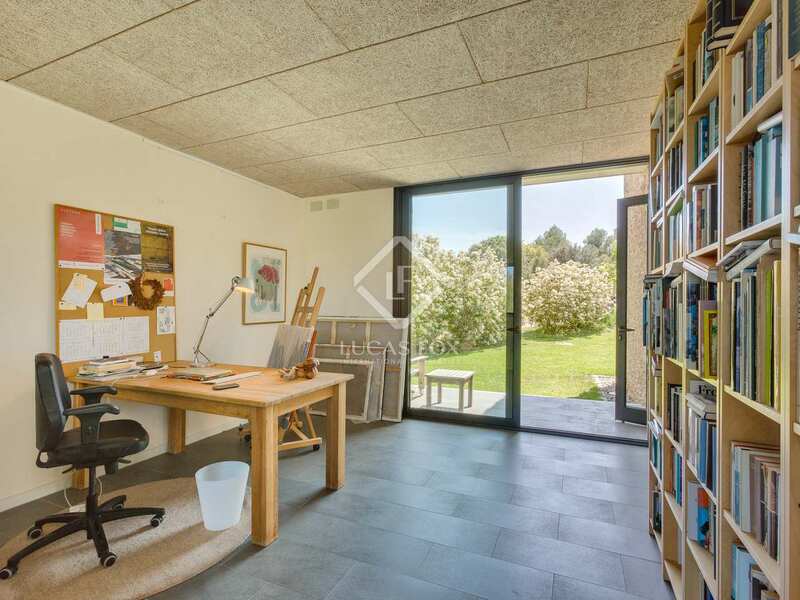 Also on the ground floor there is a pantry and utility room, guest bedroom and bathroom, a large multi-purpose space/artist's studio and a 42m² garage which could be converted into a self-contained studio apartment if desired. The 2 remaining bedrooms are on the first floor, both of which have an en-suite bathroom, together with a large play area which could easily be converted into an additional bedroom. 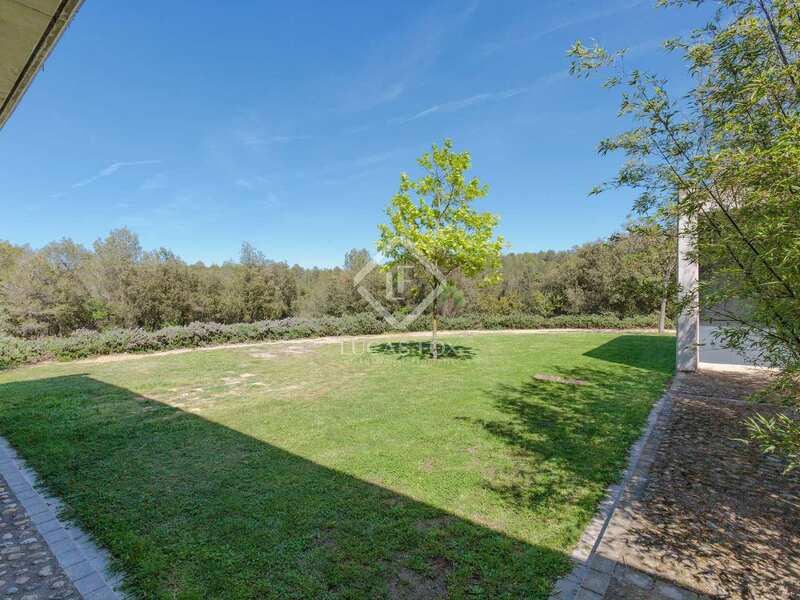 The gardens surrounding the property include a well-kept lawn and flowering bushes. 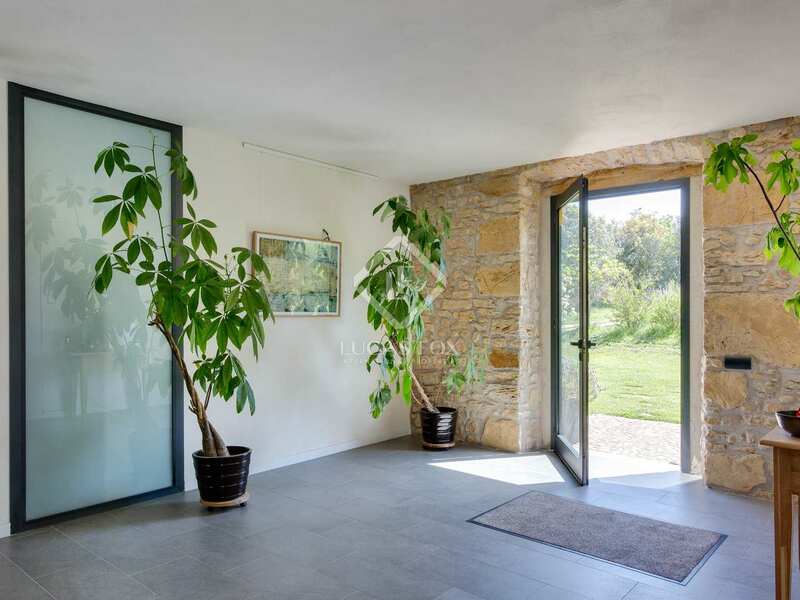 There is an automatic watering system for ease of maintenance. 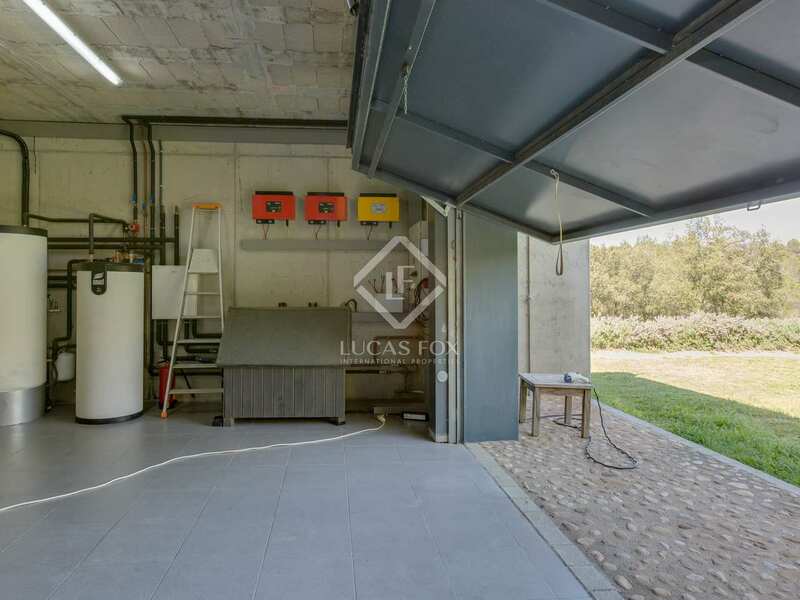 Solar panels have been installed to generate electricity which is sold to the grid, currently more energy is produced than consumed. 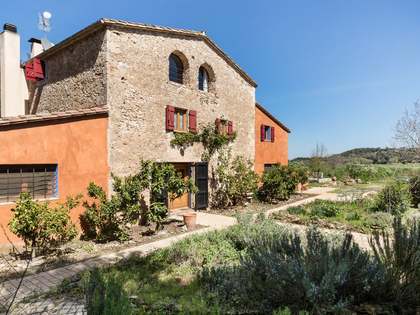 Rain water is also collected in a nearby deposit and used for watering the garden. 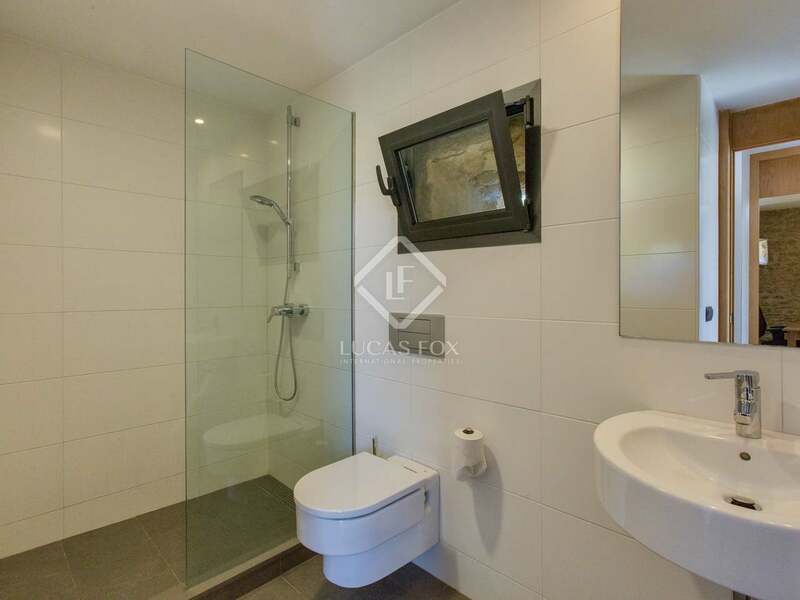 Further notable features include underfloor heating, double glazing and an alarm. 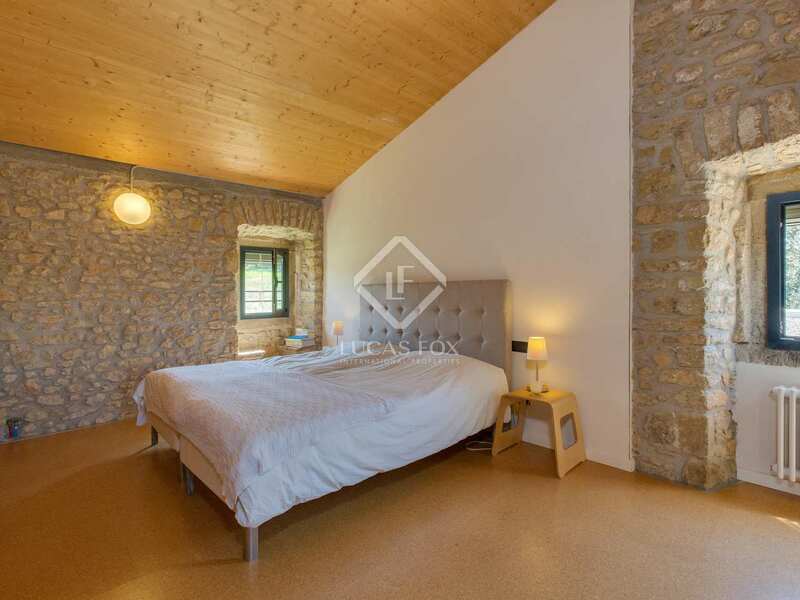 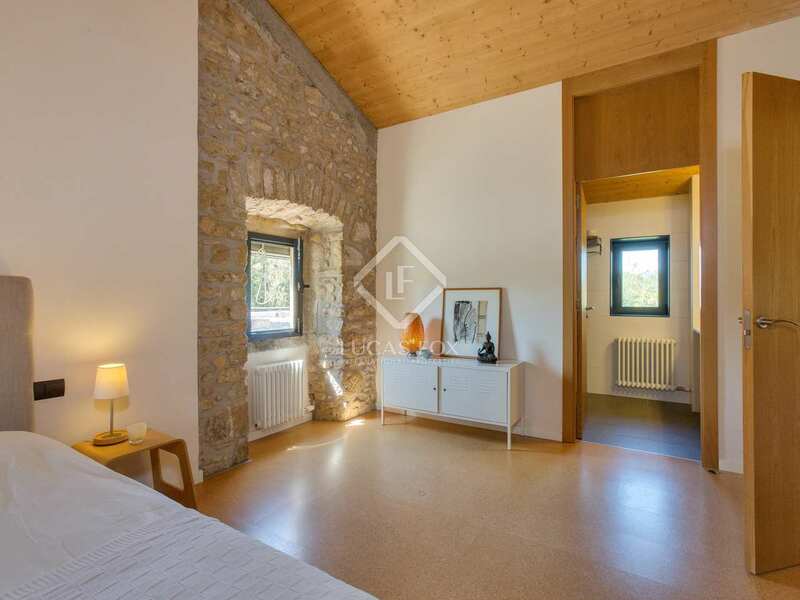 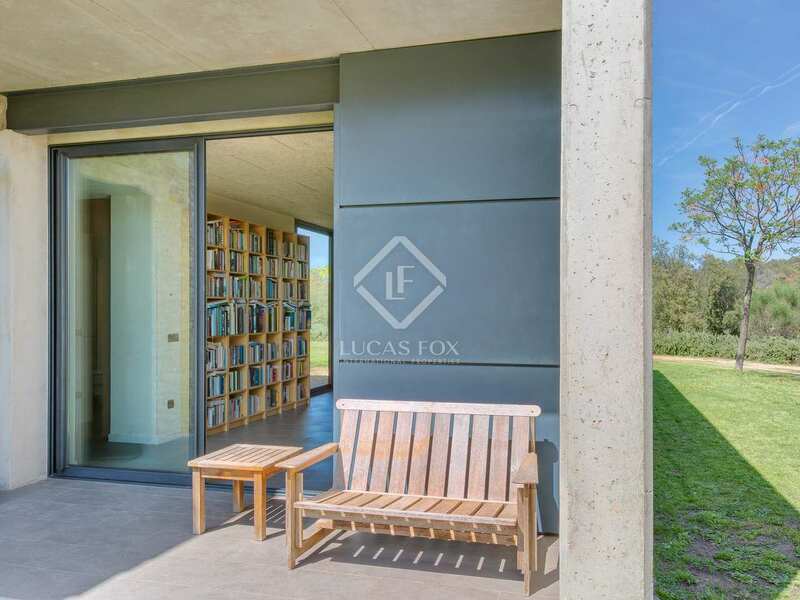 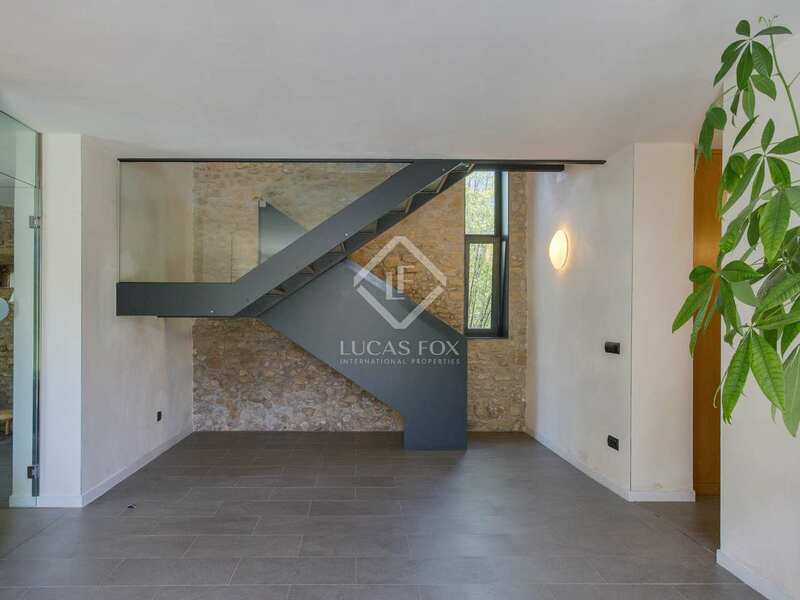 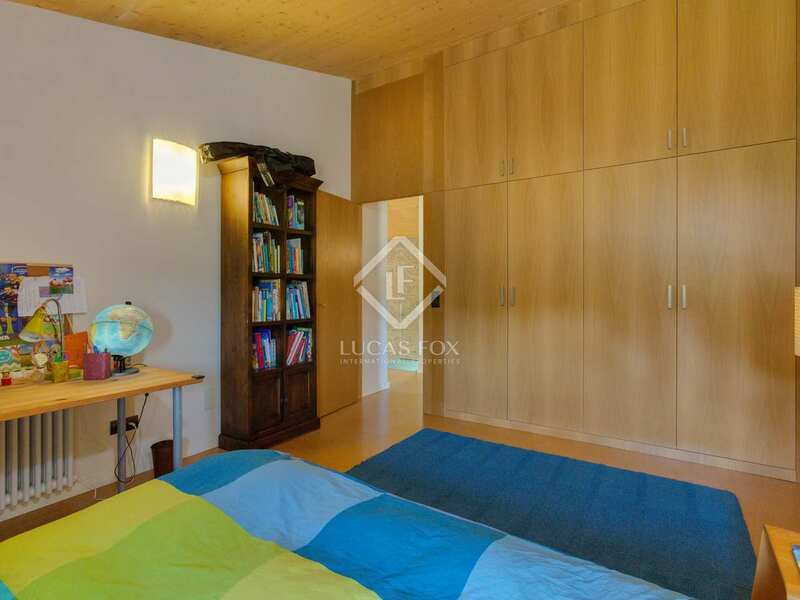 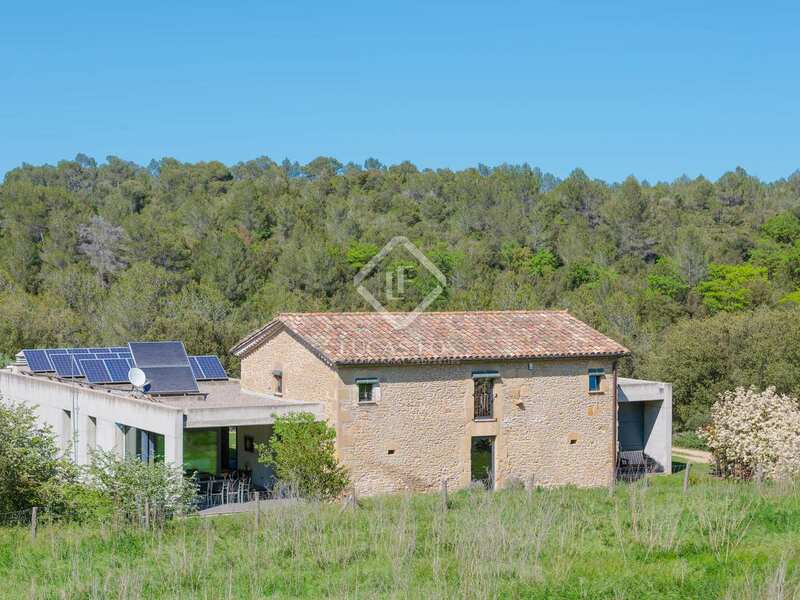 This stunning property, surrounded by nature, is an ideal option for families; there is a good village school 4km away and excellent restaurants in the area. 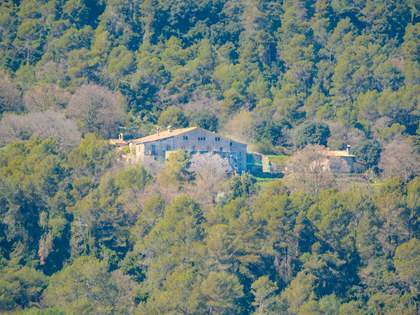 The area is also very popular with cyclists due to the quiet roads and hilly terrain. 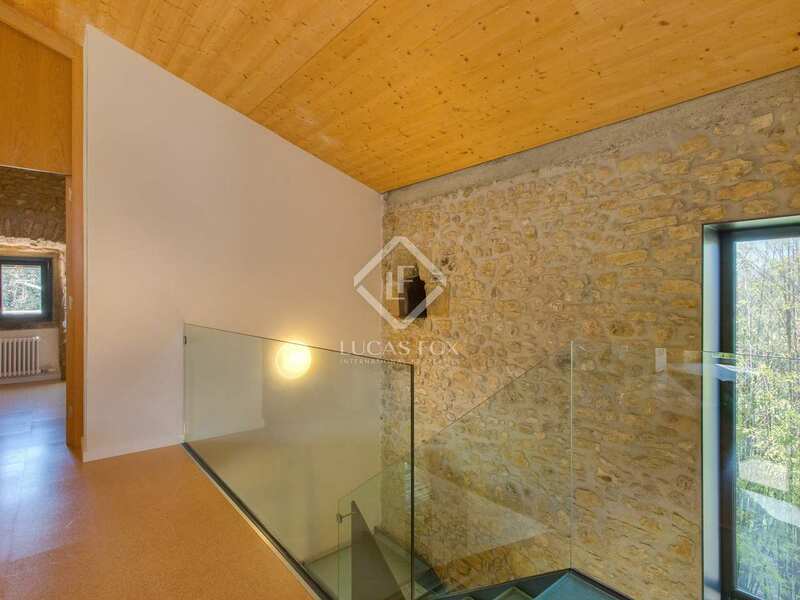 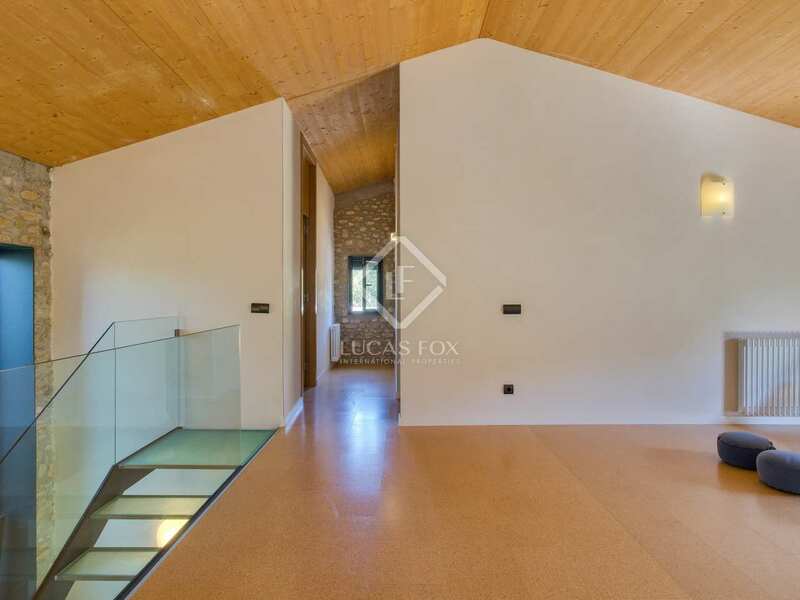 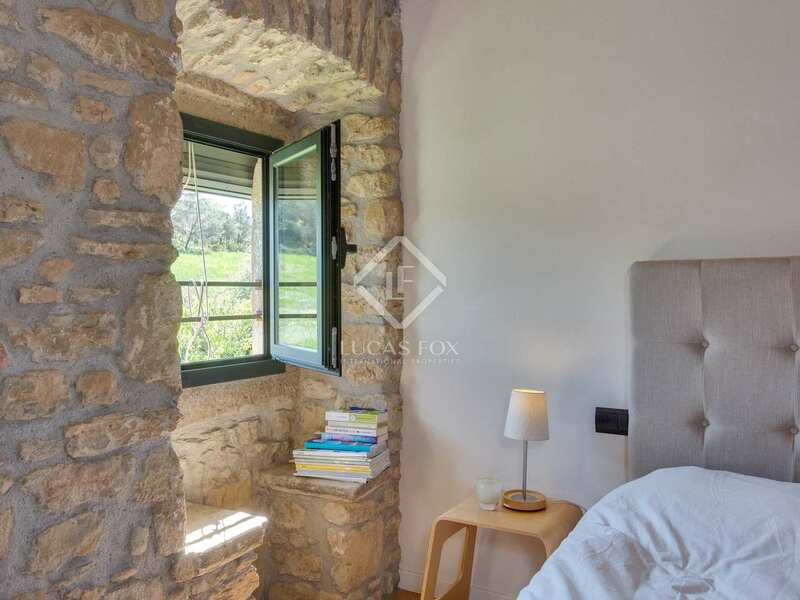 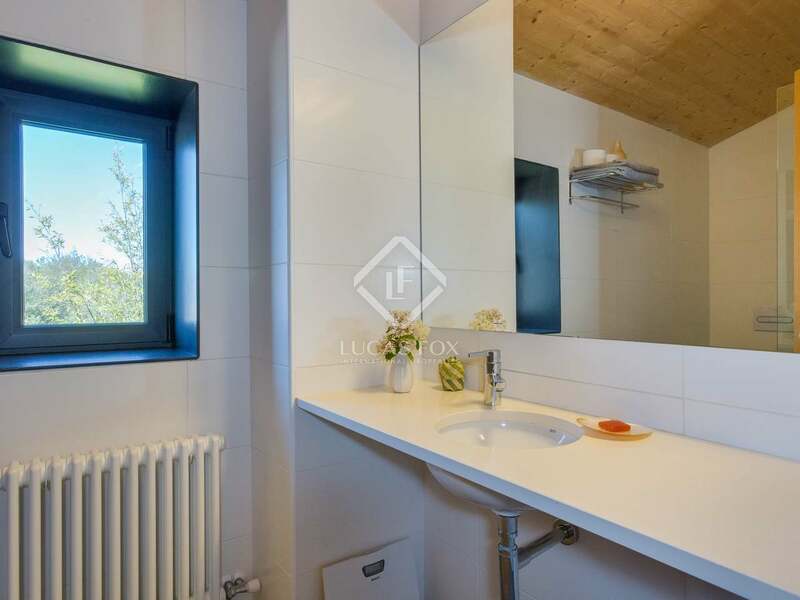 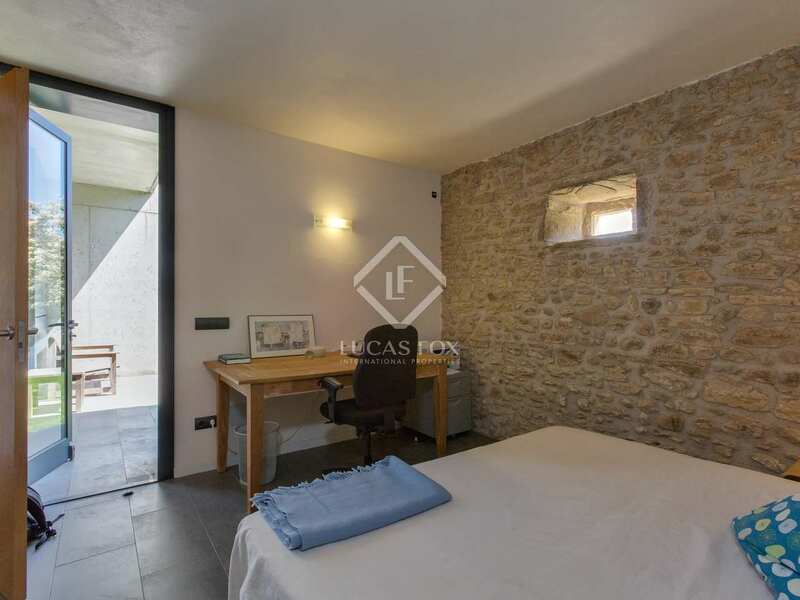 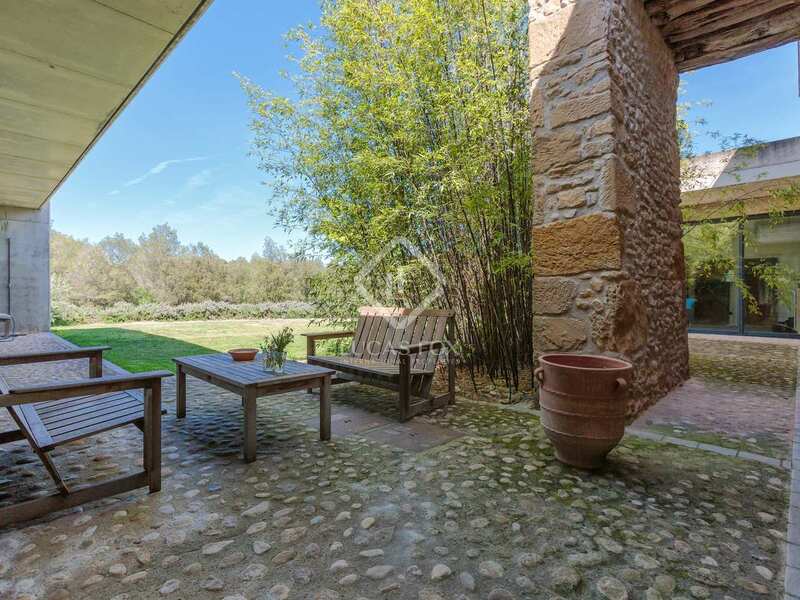 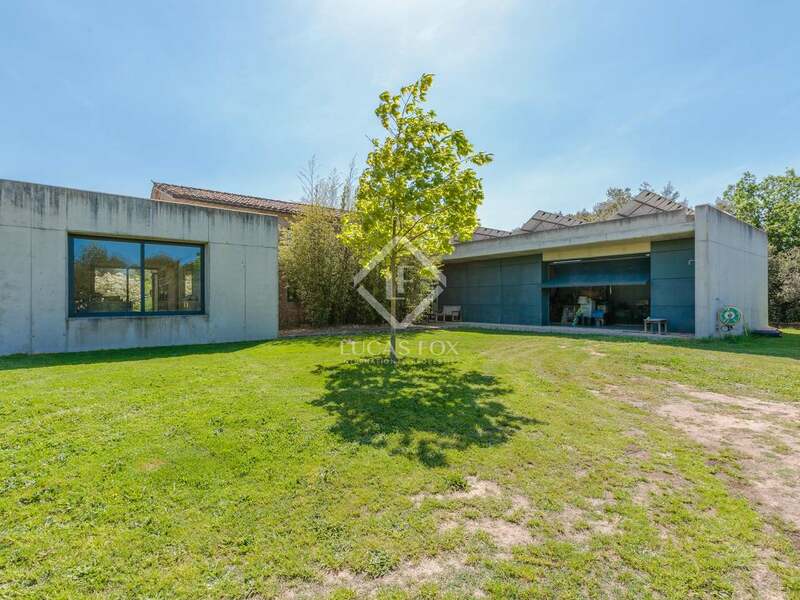 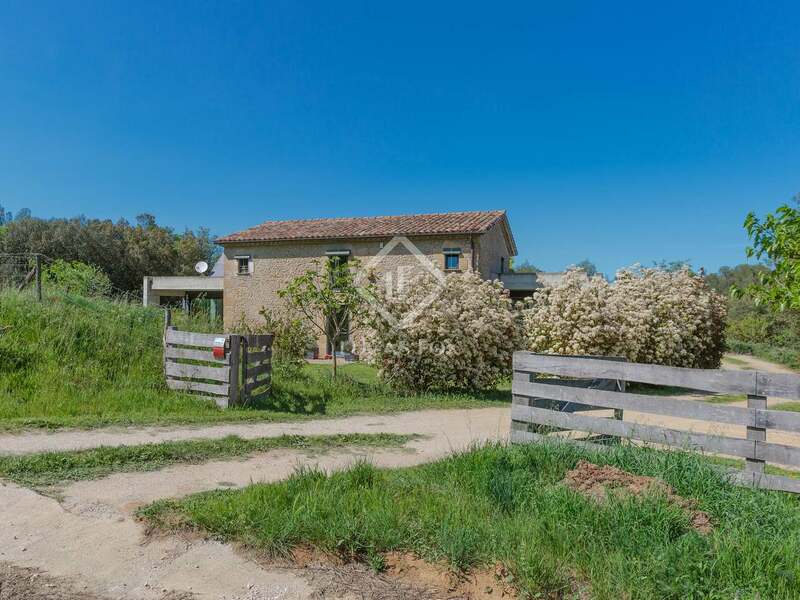 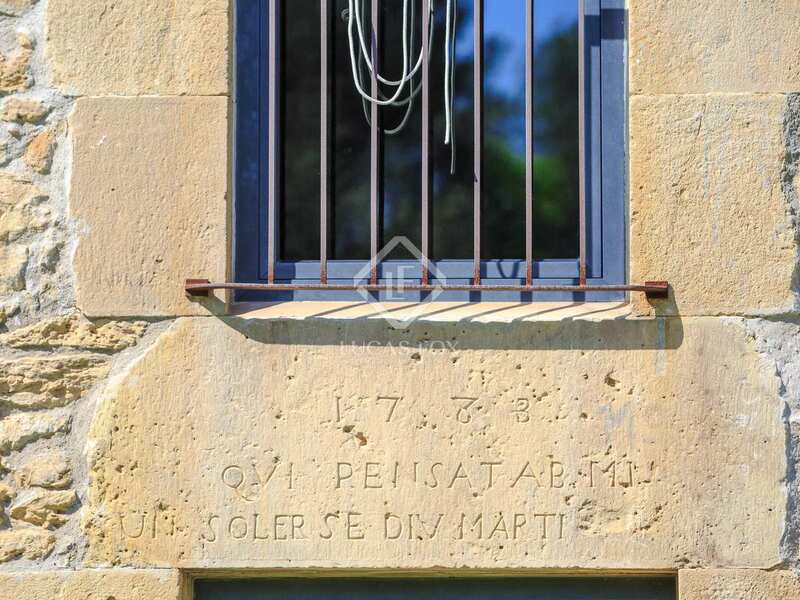 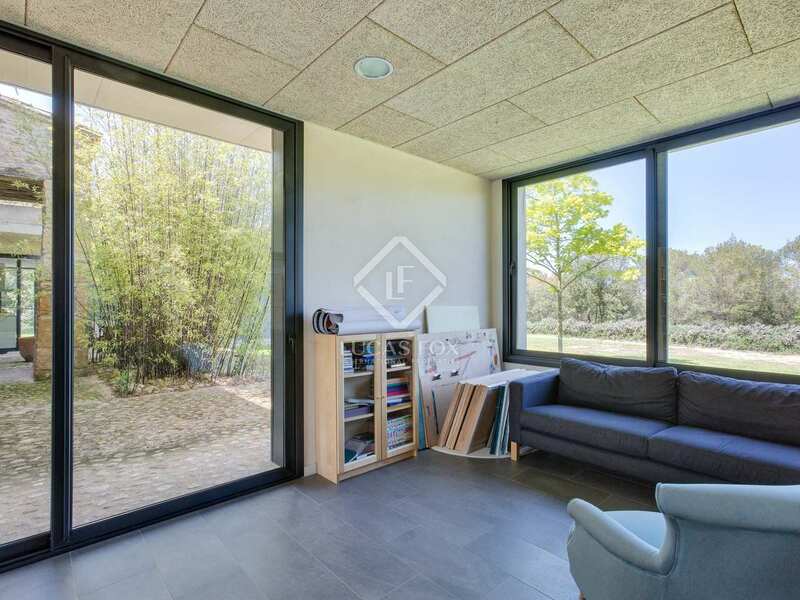 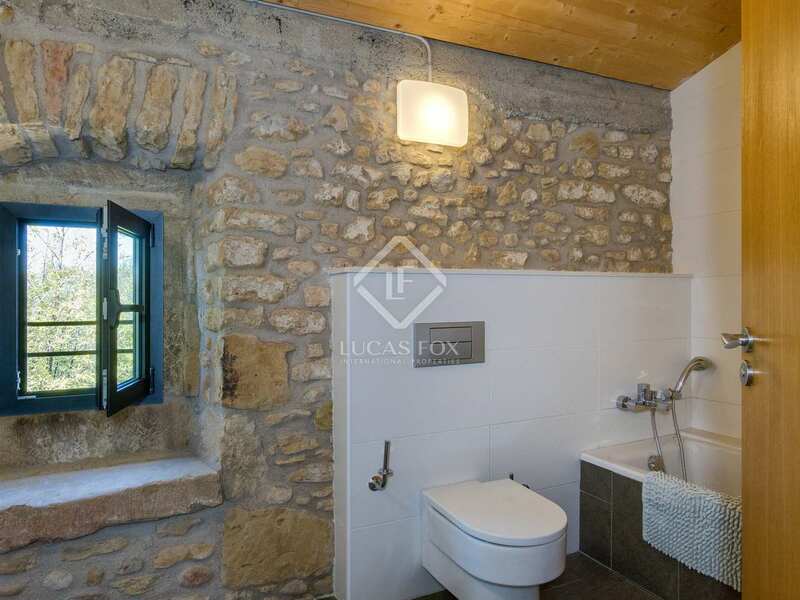 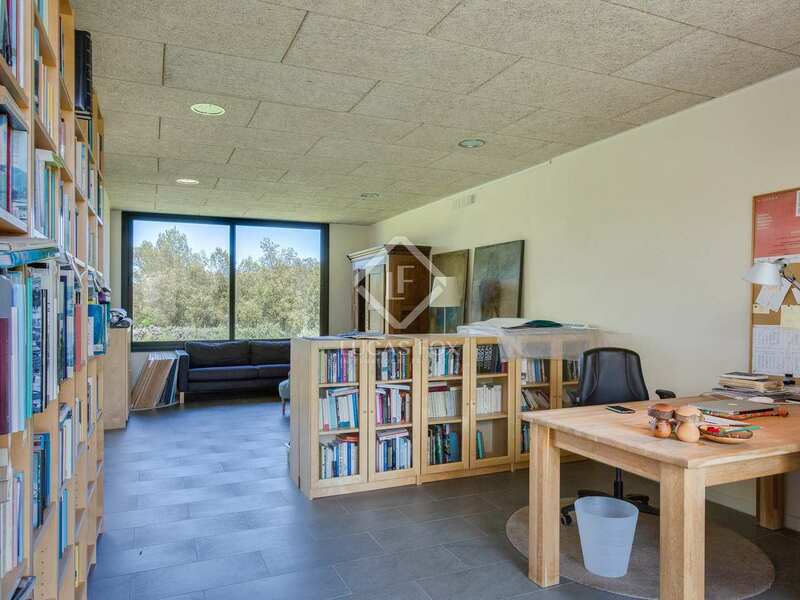 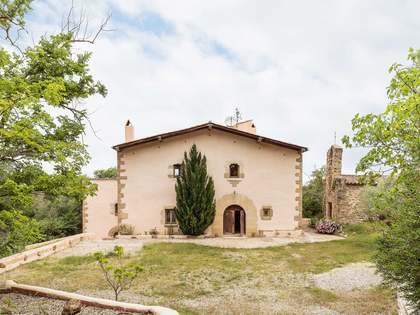 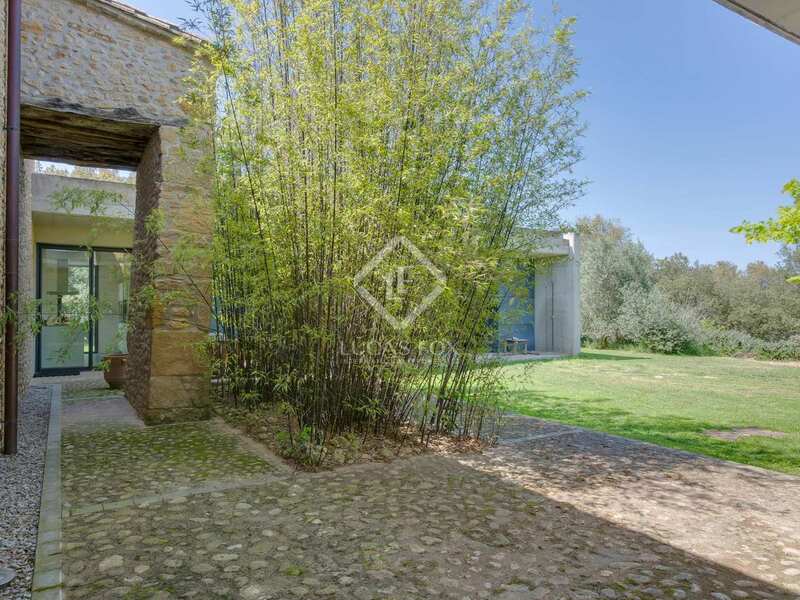 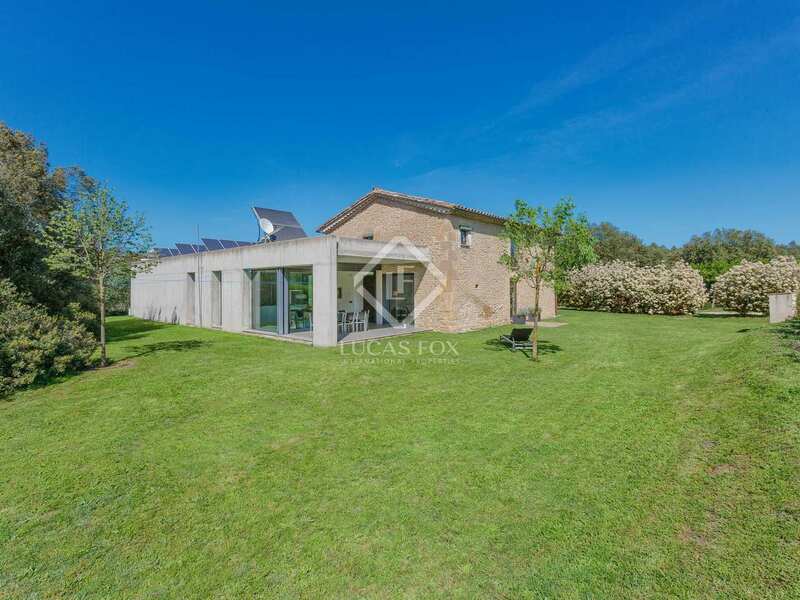 Property located in the heart of the countryside between Figueres and Banyoles, 4km from the nearest village where there is a local village school. 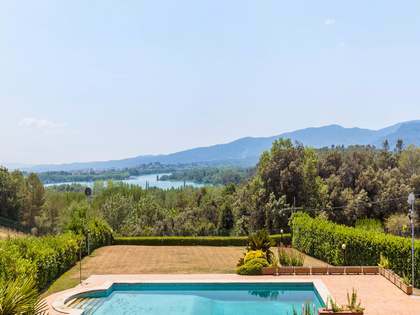 A stunning natural location.